William Ann Phipps (1811-1841), known as Willie Ann, was the daughter of William Phipps and Sarah Erwin. Her father was one of the early residents of Hawkins County. He settled in Phipps Bend (now Surgoinsville) on the banks of the Holston River. 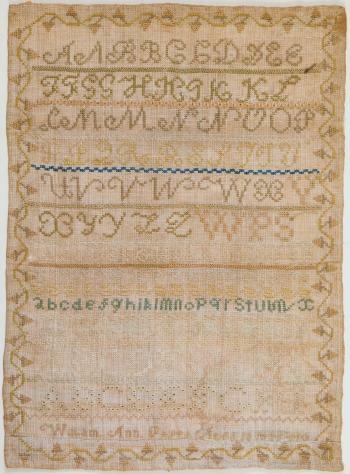 Willie Ann most likely was attending a subscription school when she made her sampler. She married Gawen Leeper in 1830, and the couple had four children. Willie Ann died ten days after the birth of her last child, probably due to complications of the birth. 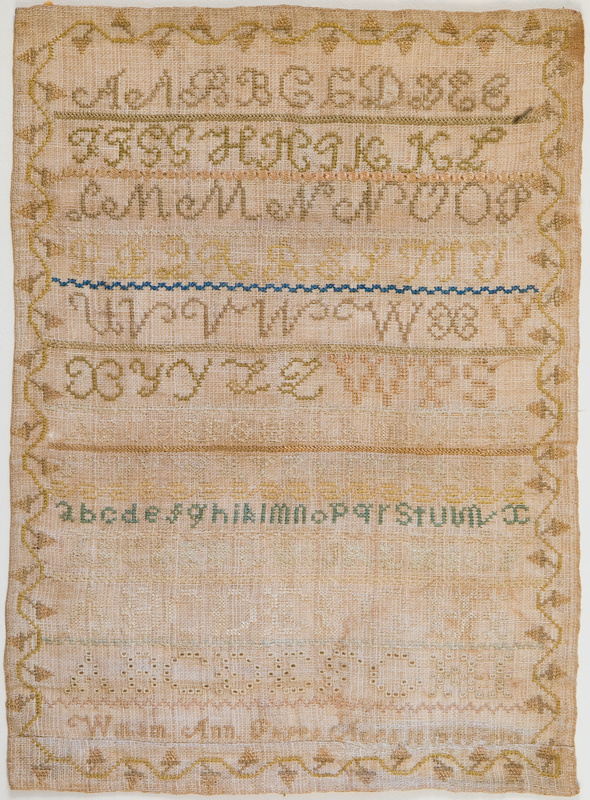 Although simpler in format than the other samplers in the Lynchburg group, Willie Ann’s sampler shares the same color palette, materials, size, and stitches to the embroideries of Knox Co. to the south.